Ellen Black from Lehr and Black Invitationers has created most of the celebrity wedding invitations that we’ve all oohed and ahhed over in the magazines for many, many years. Seeing these works of art in person is such a thrill! During lunch today Ellen spoke to us all about wedding invitations and great tips for having beautiful designs without breaking the bank. – Look for amazing artwork- it’s more important and effective than extras like crystals or fabrics. – This year she sees many people moving toward simple, clean designs with beautiful fonts. 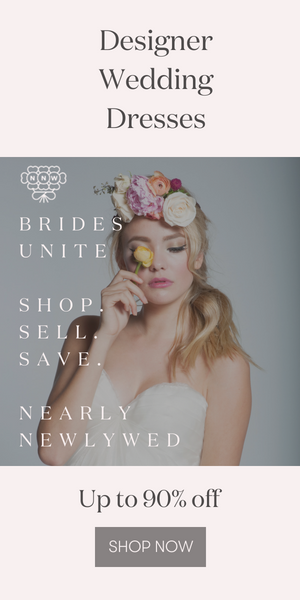 – Begin planning at least 9 months before your big day. – Save the dates are the perfect way to create buzz and share information that shouldn’t be included in the invitation (like directions and registry information). Maradee from Carolina Herrera is an expert in wedding fashion- what a fun job getting to work with those gowns! Today she shared with us easy information about dress shapes, dress shopping and finding the perfect wedding dress for you! – Keep your dress choice timeless so it won’t look dated when you see your photos 30 years down the road. – Even if you’ve been told that only one type of dress silhouette will work well for your figure, don’t believe it! try on many different types of dresses to see for yourself, and ask the opinion of the dresser helping you. – Be sure your veil is properly and securely placed far enough back on your head so that it doesn’t obscure your face or hair. – You’re not going to be standing still on your wedding day, you’ll be hugging children, dancing and celebrating. Be sure you can move in your dress! – Don’t have your dress hemmed until you’ve decided for sure and purchased your shoes. I went to the event today and it was super fun. Meeting you girls and Mindy and learning about everything I love – simply ridiculous!